The Leopardi Group brings together unique, collaborative teams of highly experienced business management, marketing, advertising, and design specialists to help launch and nurture new, emergent brands and reinvigorate--even reinvent--mature ones. Wherever you are in your stage of development, we will create an appropriate team of experts around your specific needs. We can help you boost your brand, build your business, brainstorm solutions, reach success. We can be with you every step of the way. Or step in to assist wherever you need us. Emmett Leopardi's unique lifetime work experience provides him with a powerful skill set perfect for helping businesses deliver sustainable competitive advantages that increase the top and bottom lines. He holds an engineering degree and an M.B.A., spending 32 years with Procter and Gamble in a variety of capacities, including Product Supply Engineer, Senior Scientist, Economics Specialist, and Global Marketing Specialist. Highlights of his career at the consumer products giant include inventing and implementing the multi-color printing process on Bounty paper towels by manipulating and expanding the equipment and processes of Flexographic Printing, and advancing the equipment systems necessary for the economic production of Glad Press' N Seal film, a product developed by P&G and marketed by the Glad division of the Clorox corporation. Emmett combines his skill in engineering and technical innovation with years of experience at P&G in both the economics of new product initiatives (analyzing everything from supply chain management to cost reduction to business intelligence) and the development, building, and marketing of brands. In his career, he has shown a remarkable ability to find, gather and lead the right people at the right time in collaborations that result in sustainable success. He is passionate about leading The Leopardi Group and finding innovative solutions for his clients as he helps them create, develop, and market their products into powerful brands. In 1985, Procter and Gamble’s Bounty paper towels faced a serious marketing problem. Paper towels had essentially become, in the mind of the consumer, a commodity product. On shelf, all brands appeared similar, and though Bounty could boast a functional superiority among the various brands, it’s higher price posed an obstacle to gaining market share. What Bounty needed was a point of difference that consumers would be willing to pay a bit more for—a difference that went beyond simple product performance and provided an emotional, experiential reason to purchase. At the prompting of a decree from P&G upper management to all employees to pursue breakthrough product innovation, Emmett Leopardi—then a product supply engineer in the company’s paper division—proposed to his immediate superiors a powerful idea. Why not process print decorative designs consumers would love directly onto Bounty paper towels, creating a value added point of difference from its competitors? The suggestion was met with resistance from P&G middle management. The belief that consumers only cared about the functional benefits of paper towels was strong, and the technical difficulties involved in multi-color printing on the towels were seen as too daunting. Undeterred and convinced that the idea would be a hit with consumers, Emmett diligently pursued the project without the official sanction of his superiors. That may have been the least of his problems. The technical hurdles were legion. He would need a printing press that could run at super-fast speeds (far beyond the global benchmark for flexo printing at that time), print multiple colors on a 3D surface (the nooks and crannies of the absorbent Bounty paper), and stop cold at an unprecedented deceleration rate, to comply with P&G safety standards. Special inks and printing plates would need to be developed. All of that, however, was in the future. To prove to himself the legitimacy of the project, he needed to make a test run. Off the grid, he negotiated with a newspaper press manufacturer to have color photos with flesh tones printed onto Bounty paper. Would it work? Indeed it did! The paper withstood the speed of the press and the flesh tone colors held up nicely. Still, it took a literal late night appeal to upper management to save the project … and his job. Now, with an official go-ahead, Emmett was put in charge of both the commercial (product development/consumer research) and technical aspects of the project. The results speak for themselves. On the commercial side of the project, consumer tests confirmed Emmett’s instincts, with “printed Bounty” concepts receiving some of the highest scores ever in company history. On the technical side, Emmett led a team of P&G scientists, members of academia, and print specialists in the 5 year development of new inks, printing plates and new super high-speed printing equipment and processes that could accommodate the complex production demands posed by printing on Bounty. Innovations included an “on-the-fly” plate cleaning system that virtually eliminated printing press down time, a braking system adapted from aircraft technology that could meet the strict deceleration rate, and running the presses at unprecedented production speeds, all with extremely high reliability and safety benchmarks. Eventually the new presses were created and placed in nearly every Bounty plant and eventually expanded into Europe. The printing technology developed by Emmett and his team for Bounty continues to be utilized in other applications within the company. 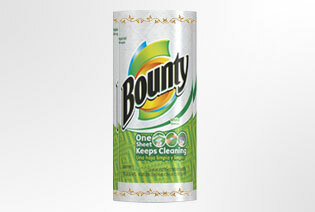 Today, over half of Bounty paper towels sold is of the printed variety. Procter and Gamble technologists had developed a super thin, incredibly clingy film that could form a seal 10X tighter than traditional plastic wraps. Not only would the film cling tightly to glass, but it would also seal to paper, plastic and wood. P&G management decided that, in lieu of developing and marketing the product themselves, they would form a partnership and license the technology to a competitor, the Clorox Company, which owned the Glad brand. Once the deal was signed, Procter and Gamble faced the significant challenge of being able to deliver the product in time and on budget. As the deadline approached, the company’s ability to meet the requirements of the contract appeared to be in jeopardy due to a material supply issue. Knowing that Emmett Leopardi had already tackled the difficult task of creating and developing the innovative multi-color printing process for Bounty paper towels, P&G management assigned him to lead the problem resolution effort in a last ditch effort to deliver the initiative as promised. Emmett brought together a multi-national team of experts, including personnel from both companies, to collaborate on potential solutions that would allow this super thin film to be run at speeds high enough to meet production demand at a price that would allow the product to be profitable. Working against an accelerated deadline, Emmett and his team delivered results in 6 months, producing a product of the highest quality while maintaining a cost structure that preserved profitability. 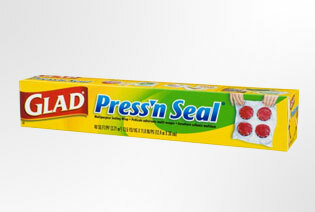 Glad Press’ N Seal became a huge success and a significant product in the Glad portfolio. Later, Emmett utilized his experience with printed Bounty by collaborating on the development of multi-colored printing on film. Time for your brand to take the next step? The Leopardi Group is ready to help.